Between 2000 and 2008, 18,383 pedestrians were injured and 1,390 more were killed in motor vehicle accidents, according to the Georgia Governor’s Office of Highway Safety. 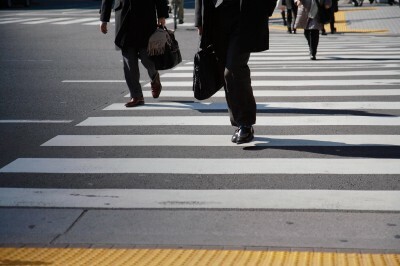 While pedestrian accidents can occur for any number of reasons, they most commonly happen as a result of driver negligence. However, pedestrians who have been injured may be entitled to pursue a claim against the liable party and seek compensation for damages. Pedestrian accidents can occur day or night, in all weather conditions, on any type of road, and involve both children and adults. However, according to the National Highway Traffic Safety Administration, certain locations and individuals are more likely to be involved in these types of crashes. Additionally, one in 10 fatal pedestrian accidents is responsible for the death of senior citizens 65 years of age or older. Seniors in this age group accounted for 11% of injuries caused by motor vehicle accidents in 2010. On the other hand, in 2010, 19% of children between the ages of five and nine were killed when they were pedestrians rather than passengers in a motor vehicle crash. According to the NHTSA data, 23% of pedestrians injured, and 7% of pedestrians killed in accidents were children under the age of 15. Additionally, pedestrians may also be at fault for causing an accident if they attempt to cross outside of the designated crosswalks or at non-intersections, or if they fail to look both ways before crossing the street. While both drivers and pedestrians may be held liable for causing an accident, these crashes typically occur when a driver is negligent or irresponsible behind the wheel. A pedestrian is more likely to sustain severe injuries or death in a wreck, as there is nothing to cushion the impact of the vehicle or disperse the force of the crash. While the amount of compensation will vary depending on the specific circumstances surrounding the incident, in many cases, the more serious the injuries sustained and the greater the non-economic and economic incurred, the larger the compensation will be. If you or someone you love has been injured as a pedestrian in a collision with a car, consider seeking legal counsel from an experienced Georgia personal injury accident attorney as soon as possible to learn more about your rights. You may be entitled to pursue a claim and hold the other party accountable for your injuries and seek compensation to help to cover damages including emotional distress, pain and suffering, medical expenses and lost wages or loss of earning capacity. Here at Van Sant Law, we stand ready to help you. Call (404) 991-5950 today, or fill out our free, no obligation online contact form to learn about your legal rights.